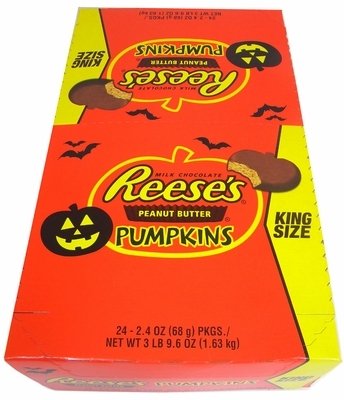 King Size Peanut Butter Pumpkins prove how decadently delicious Reese's 'royal size' candy can be! As if Reese's peanut butter cups aren't mouthwatering enough in all their scrumptious sizes, Halloween brings us a flavorfully festive way to enjoy that one-of-a-kind Reese's taste. There's simply no substitute for Reese's Peanut Butter Pumpkins. 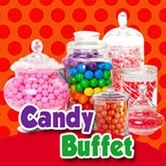 Add them to your Halloween candy shopping list and we're certain you won't regret it! 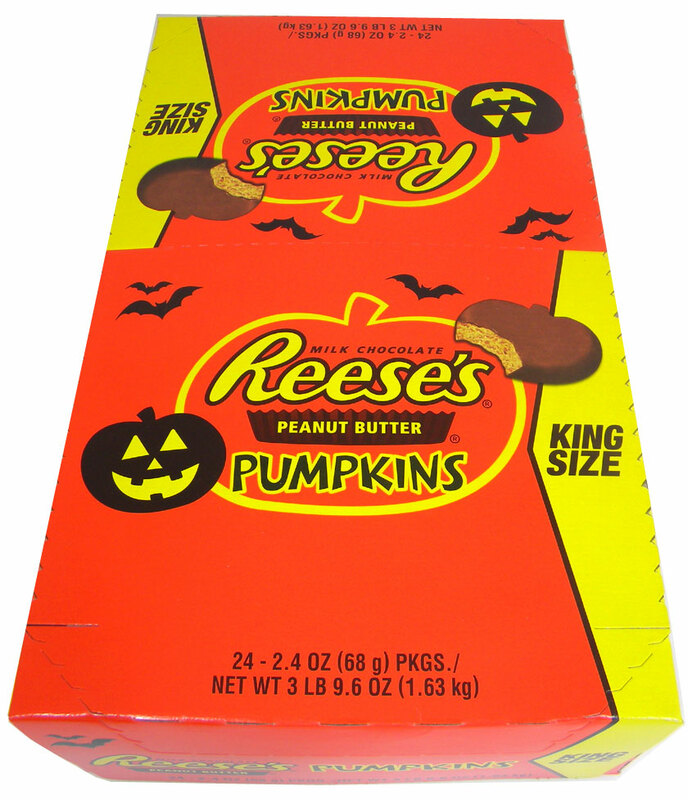 Every pack has 2 peanut butter pumpkins inside – 48 total per box! 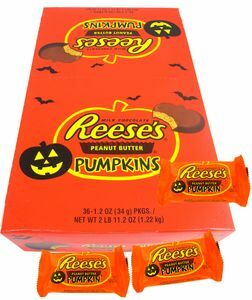 These plump Reese Peanut Butter Pumpkins are 2.4oz. of yummy goodness!